Rotary continues its development with the introduction of Tradition, a new line within its Les Originales collection. 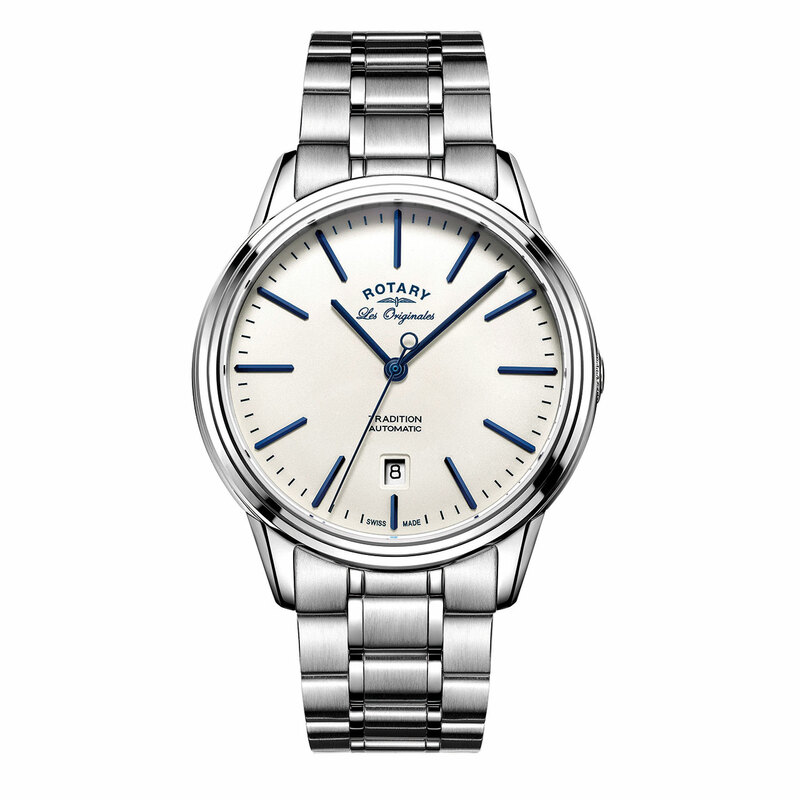 It carries on a rich history of Rotary watches and perpetuates the brand's heritage. Rotary has chosen Sellita automatic movements for this new range as a guarantee of quality, visible through the sapphire crystal caseback. On the dial side, a printed and raised pattern provides a backdrop for long, slender, understated hands. They echo the design of the gold-coloured hour-markers. Probably the most eye-catching feature, however, is the winding crown which almost disappears into the side of the case. As well as being discreet, this refinement ensures absolute comfort as the crown will never rub or catch against the wrist. The symbol of a carefully studied design. 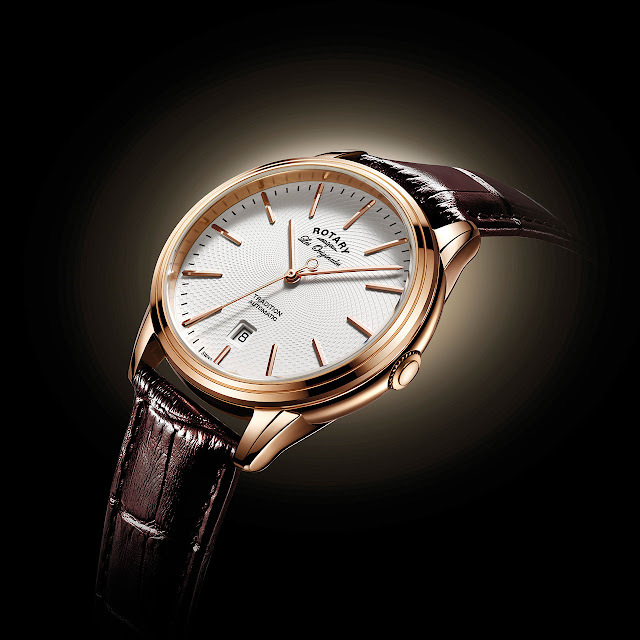 Mechanical automatic, Sellita SW200 calibre, 26 jewels, 28,800 vib/h, 38-hour power reserve. Steel, with or without pink gold-plating, 40.5 mm. Domed sapphire crystal and sapphire back. Water-resistant to 50 metres (5 bar/165 ft). White. Gold-colour or blue hour-markers and hands. Date at 6 o'clock. Brown leather or stainless steel, matching folding clasp.